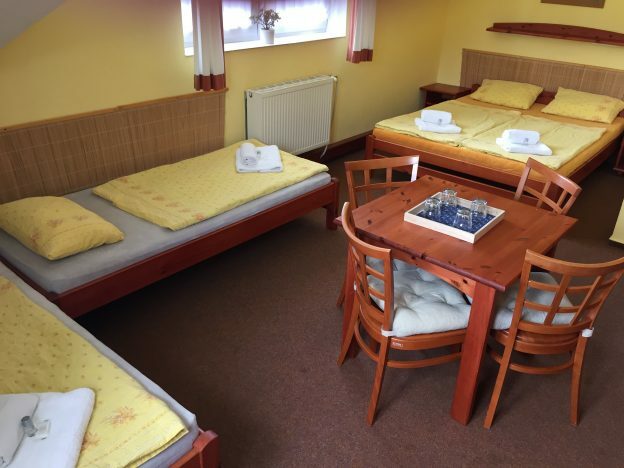 A family room for parents with two children, equipped by a double-bed and two single beds. The room has its own en-suite facilities: a shower, WC and a washbasin. In the room you can relax in front of the TV or your own PC which you can connect to the local Wi-Fi free of charge.